One of the most comprehensive products of the year doesn't involve cards. The 2015-16 Panini NHL Stickers Collection checklist tops 500, covering every team and many of the league's special events. The structure is simple. There are no inserts or short prints. You rip open a pack, build your set and that's it. 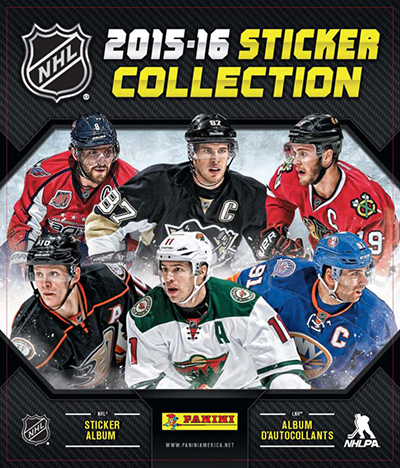 The full 2015-16 Panini NHL Stickers set has 516 stickers. Among these are 99 foils, the closest thing the product has to something premium. Stickers are held in a full-color album. Sold separately, it has a total of 72 pages. Besides two-page spreads for all 30 NHL franchises, there are sections for the All-Star Game, postseason, Winter Classic and Stadium Series. Just as with most Panini sticker products, boxes come in a couple of different formats. Basic boxes have 50 packs of seven stickers. Combo display boxes have 100 packs plus 20 albums.